For over a thousand years Western and Eastern cultures have applied the knowledge of reflex zones in diagnosis and therapy (reflexology). 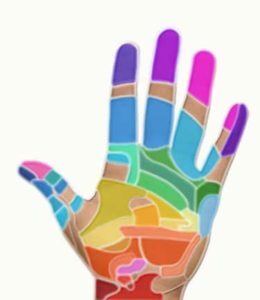 Indian and Chinese holistic healing sciences assume that the hand reflex zones are not only connected to the organs but also to the consciousness, the meridians, the energetic field (aura) and the chakras of a person. The interpretation of the energetic situation of a reflex zone serves for diagnosis and therapy of the regulating state of the internal organs and the psyche. It is known from reflexology that certain parts of the hand have an energetic link to the organs of the body. Reflex zones or somatotypes (derived from the Greek words soma = body and Topos = place, location, area) are areas on the skin surface, which have connections to the internal organs and body structures. The word Biofeedback is an indication for biological control mechanisms. It is composed by the Greek word bio = life, life processes and by the English word feedback = reaction. 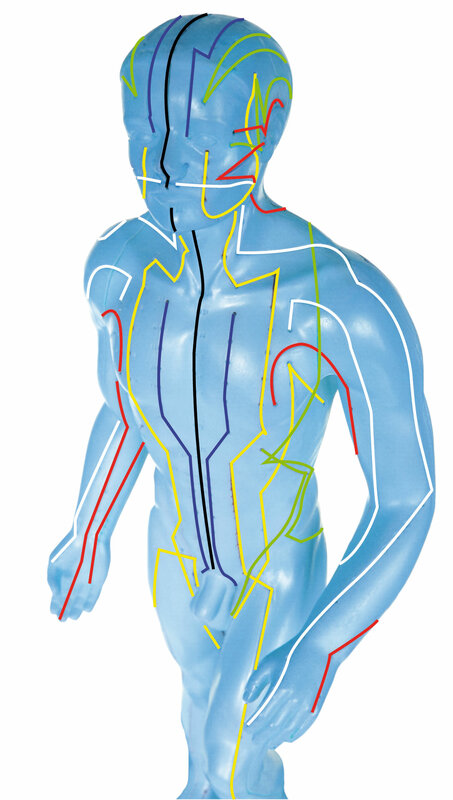 The science of body language tells that organs possess a consciousness and react on thoughts and emotions. This consciousness is stored in every cell of the body. In kinesiology this philosophy is successfully applied to test the reactions of spirit and mind onto the body. Emotions and thought structures are radiations of subtle energies. They express themselves in the bioenergetic field – the aura. Man radiates this aura, which can be perceived by clairvoyant people. Based on all this knowledge Auramed developped the Biopulsar-Reflexograph Biofeedback Device, which measures the reflex zones of the hands. The Auramed Academy offers different seminaries for holistic analysing and treatment concepts.